Here is another who should be in the Hall of Fame, no doubt about it. Though he got off to a late start in the majors, at 28, Maury Wills made the most of the years he had. Not the greatest defensive player that ever was, Wills was ‘The Man’ who changed the nature of the game. A few years before Wills came up with the Dodgers, 30 bases was not only a lot…that would have led both leagues. How does a 100 plus sound? Will was the father of the speed game of today…a Dodger rally was a Wills walk, two stolen bases and a fly ball. 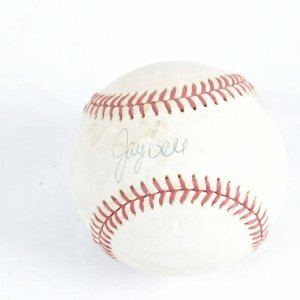 His ability to hit was only surpassed by his ability to run, and in 1962 he set the major league record for steals with 104. Cooperstown awaits…since Mr. Wills has been on the straight and narrow for more than two decades. 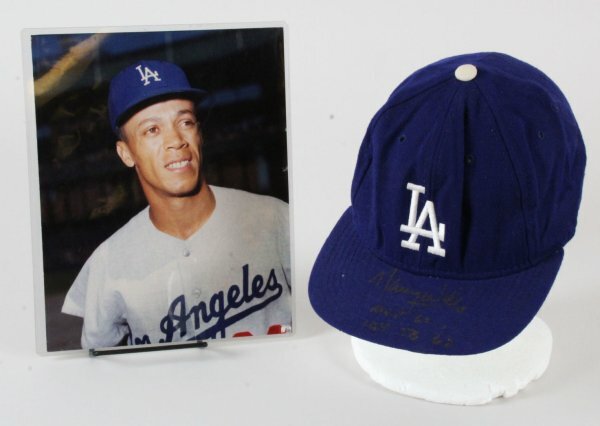 Presented is a game worn Maury Wills hat. 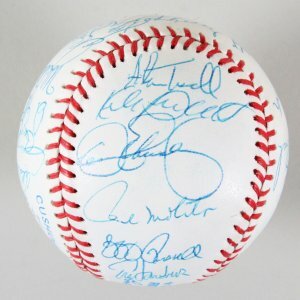 It features tagging in the interior band, MLB, “The Pro” and McGregor [size] – 7-1/4. The interior shows heavy wear with soiling present. 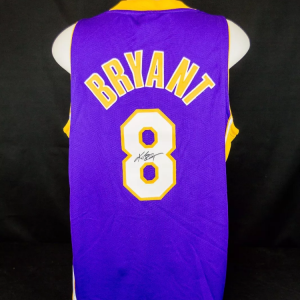 It was signed in silver felt tip on the brim by Wills with an inscription, “MVP ’62 – 104 – SB – ’62”. The underside of the brim is also signed by Wills. Also to note, the hat has been stored flat. Overall, a great cap from a tremendous player.